> Helpful suggestions and solutions for common bead crochet challenges. *** 6 pages of HINTS and tips for everyone. 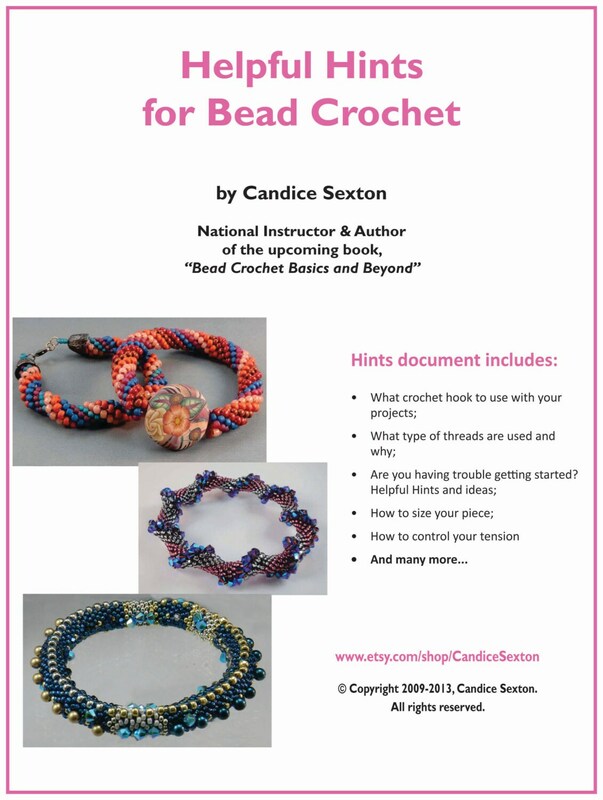 NOTE: If you purchase my book, "Bead Crochet Basics" you do NOT need to purchase this document, as all the helpful hints are available in the book! *** HELPFUL HINTS DOCUMENT AVAILABLE INSTANTLY VIA DOWNLOAD! *** Your pdf file is available via the download button once payment has been received. Instructions arrive as a high-quality pdf file ready for you to print and use.